Join us for Bible study at our meeting place on Sunday mornings at 9:30 and Wednesday nights at 7:00pm. 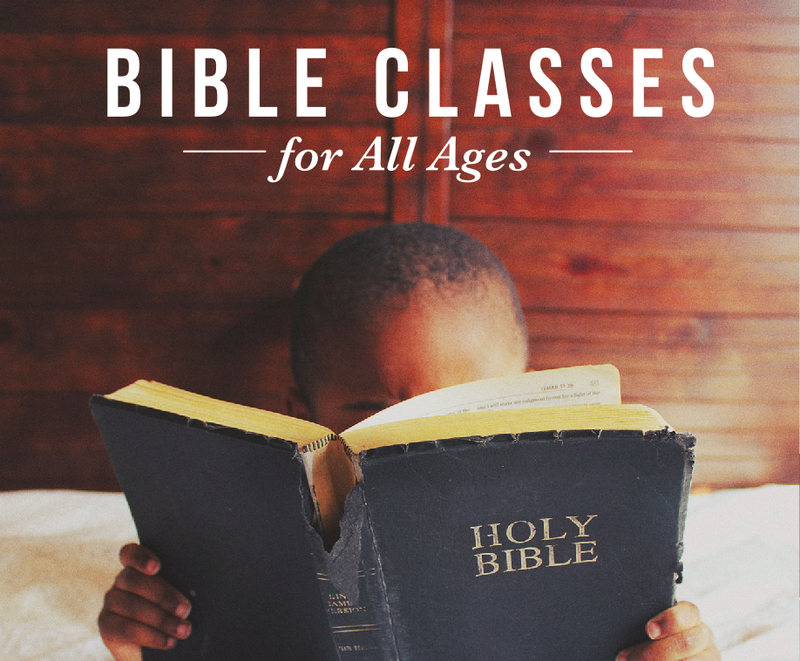 We're proud of our unique curriculums for infants, toddlers, and preschoolers, designed to lay a foundation for spiritual knowledge, moral character, and love for God. With our elementary curriculum, "Our Spiritual Heritage," we show children how the world around us displays God's wisdom and power. We emphasize God's role as the Hero of History, showing how we overcome evil through Jesus Christ. What Is God's Plan for Our Marriage? How Do I Deal with Fear, Worry, Guilt, and Anger?